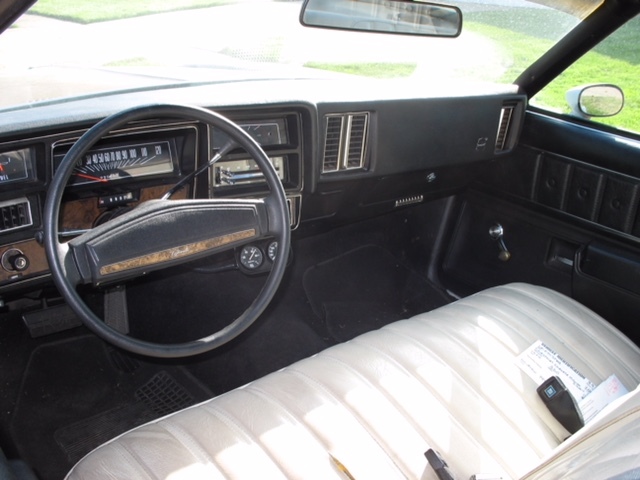 My 76 olympic chevelle has the white interior. Partsplace sells a white or an off-white interior paint. Which one works? What would you recommend for interior exact match paint? I struggled with several SEM cans with no luck. I took my plastic part to an automotive paint supply house and they custom blended an exact interior dye match and put it into rattle cans for me. Another tip-.make sure you match the back side of your Item or an area that is not weathered or faded/bleached from all those years. The off white is actually called neutral and I believe it was only used in 73 and 74. Later years used white. Might try consulting with Hawk03. He went thru this when re-painting/dying his white interior. 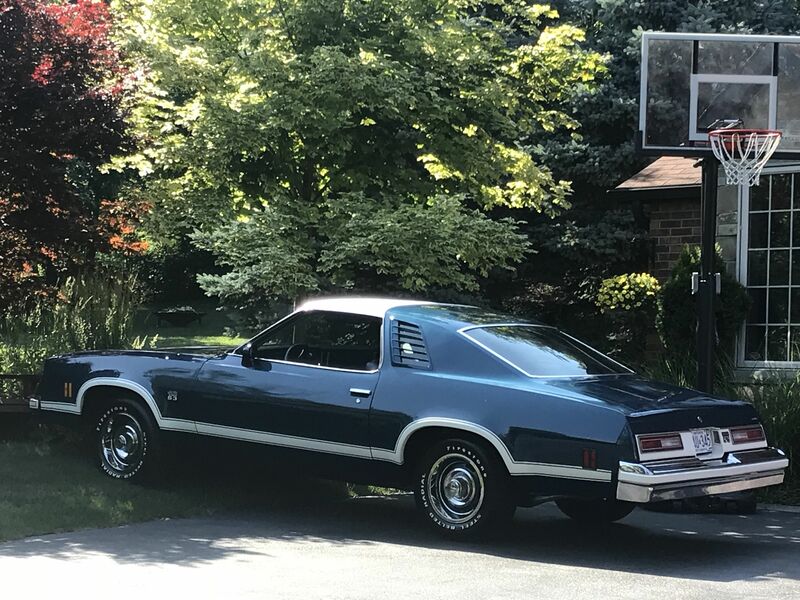 Also, the shade of white on a '73 is different than your '76 (yours is a brighter white). There wasn't a bright white in 73 or 74, only an off white called neutral. 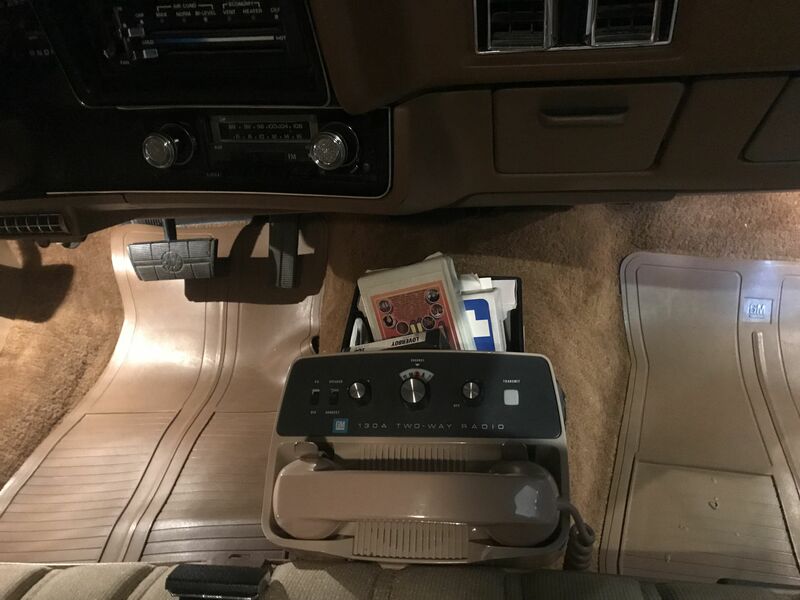 My '74 had white seats but black interior. 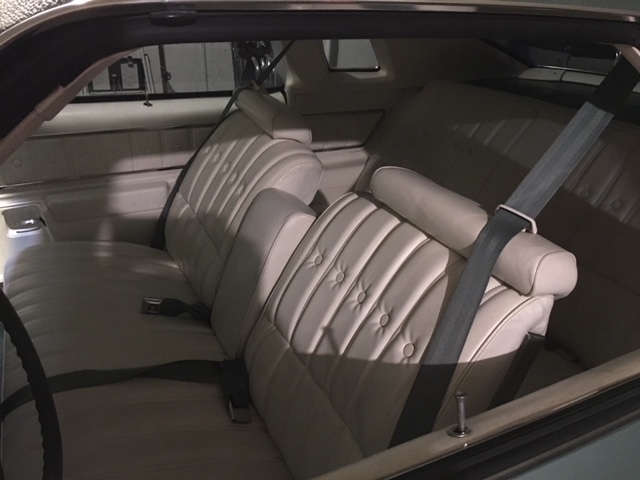 The vinyl was just as white as the seats in my "77. I'm just going off memory, since the '74 is long gone (sorry for the poor lighting on the '77). Both I would consider a true white, not off white. The problem with the white may be more discoloration vs original color. Just about every panel in my '77 is a different shade depending on where the sun hit. If you're painting plastic, you may have to paint every panel to match. Best way to check what color anyone has is to run the numbers on the cowl tag. 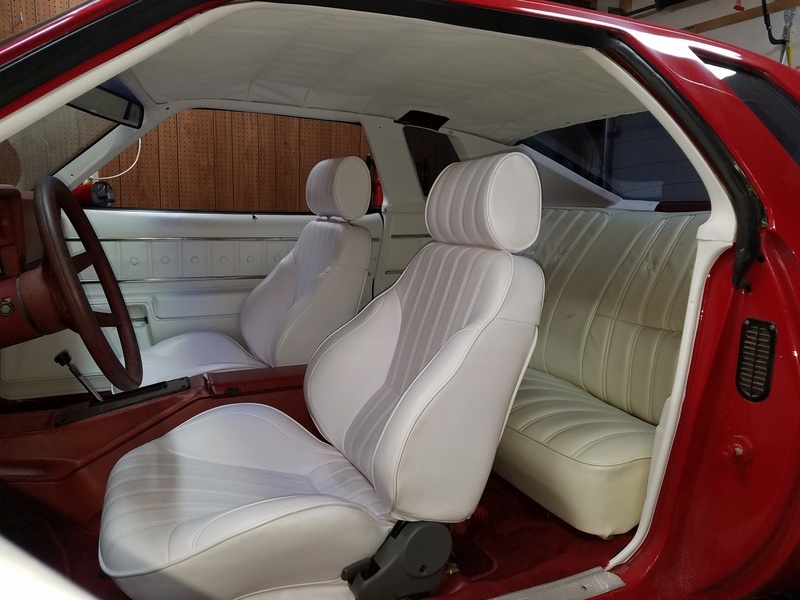 I tried SEM Gloss White, Super White and Sailcloth White to try and match my seats, which are aftermarket Procar seats. I think either Gloss White or Sailcloth White might match the factory color. I don't have any factory pieces to compare but they look close. Super White is more beige than white. I painted the headliner and all panels Sailcloth White. Rear seat will be dyed in the spring so it will all match. What did you end up using on yours? Gloss white? Sailcloth white? I assume that latter is more flat? I used Sailcloth White on everything. I sprayed SEM adhesion promoter then a few coats SEM color and then sprayed a couple coats of SEM Low Luster clear on everything. Do you have to spray the clear on? I've seen people do it with and with out. 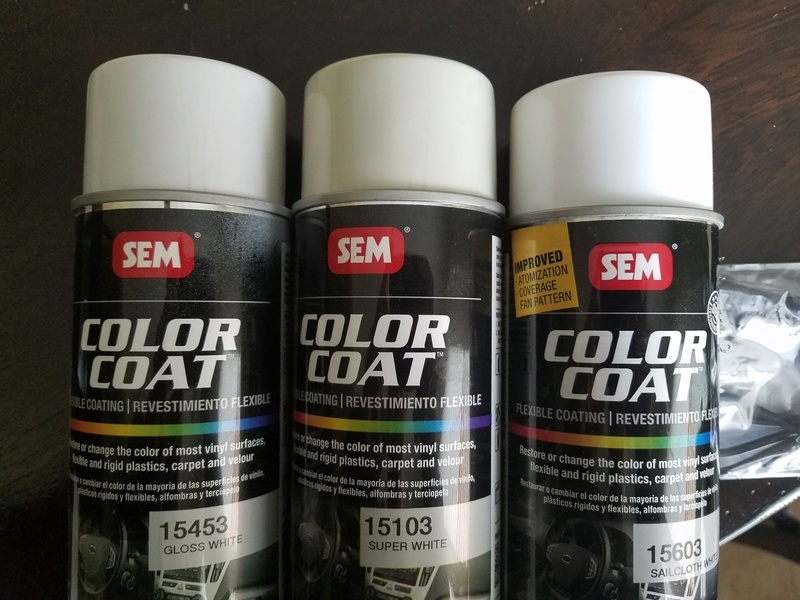 Where did you purchase SEM paint? Question to anyone that had dyed/painted their seats. How well does it hold up? Does it crack or anything as the vinyl flexes? I sprayed the clear on myself. I bought the cans from Amazon. I followed Wally's directions in this thread for all of my painting and its turned out pretty good. » Does color of a boat affect fishing success?